asymmetry_1 mixed by Nikolas Qezi - a dj-set comprised of Unìc & Stas official releases for 2012. Unìc, Stas, Unìc & Stas and Stas & Unìc. 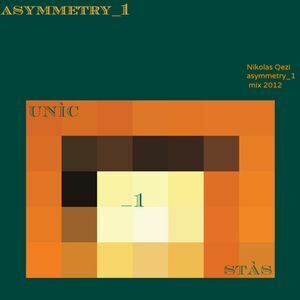 asymmetry_1 mixed by Nikolas Qezi ( DJ Unìc ) is a dj-set cmprised of Unìc & Stas official releases for 2012.